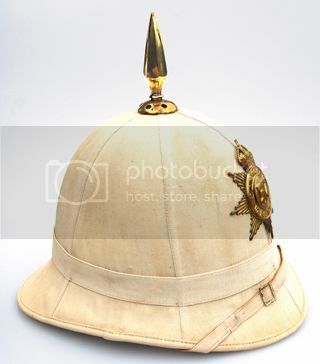 A 1905 era Canadian Militia sun helmet with the badge of the 57th Regiment, Peterborough Rangers. 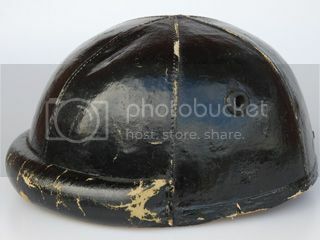 A British-designed MkII steel helmet. 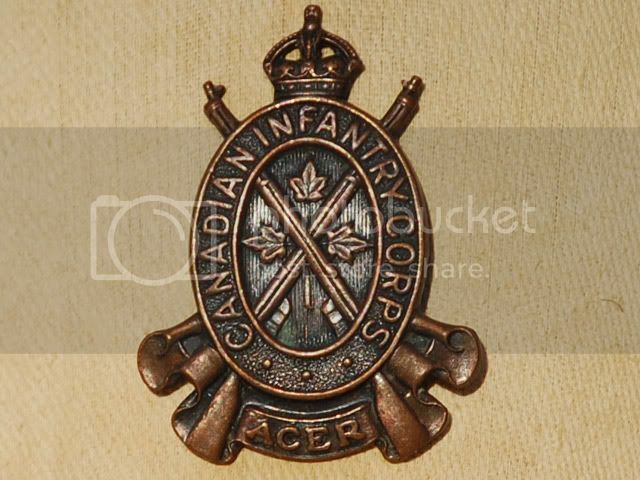 This particular example was produced in Canada and bears the logo C.L/C. 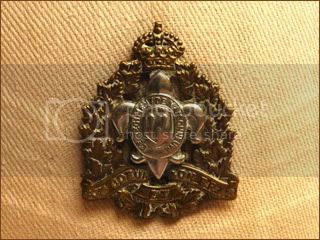 (Canadian Motorlamp Company of Windsor). 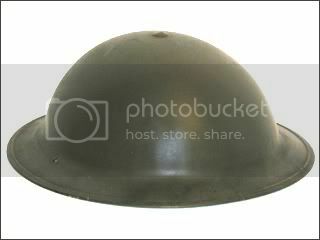 This helmet is dated 1942 and appears to be un-issued. A Canadian-made helmet for the tank battalion. 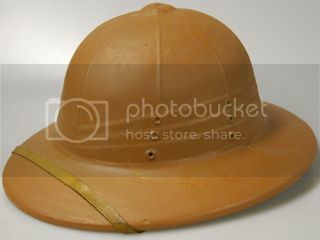 This is a copy of the RTR Britsish helmet, and was made in Canada during World War II by the Saftey Supply Company of Toronto. 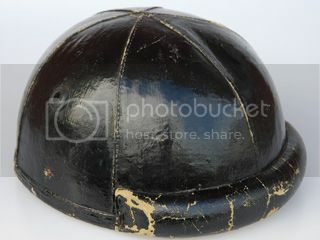 It is a cork helmet with a black painted cloth cover. 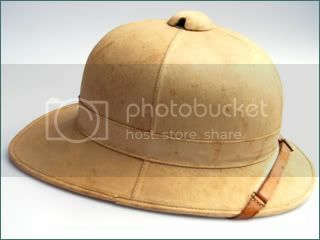 This is an example of a four panel Wolseley pattern sun helmet. It is stamped inside "NAVAL," and has a maker stamp for "W M SCULLLY LTD, Montreal," and a date of "Oct 1942." 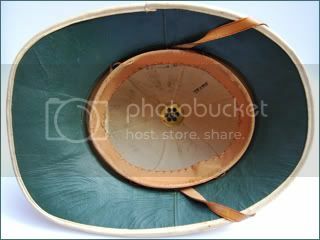 Based on the same basic pattern as the American pressed fiber sun helmet, the Canadian versions had minor differences. These were made by the Hawley Product Company Canada. This is the most common version, with three rows of three sets of vent holes on each side. 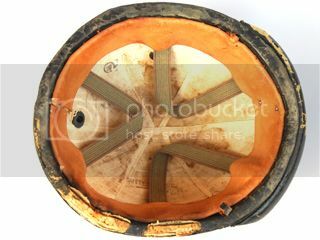 A basic early three vent hole pattern Hawley sun helmet, with a stamp inside indicating that it was of Canadian manufacture. 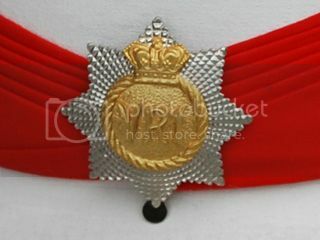 The tan color is lighter, and this example features a King's Crown cap badge to the R�giment de Maisonneuve (a Montreal Regiment). 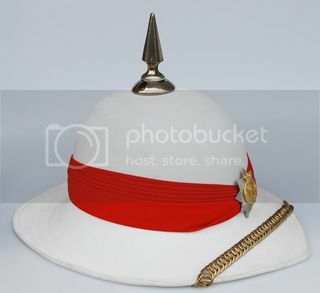 A Canadian made Hawley sun helmet with the badge for the Canadian Infanry Corp on the front. 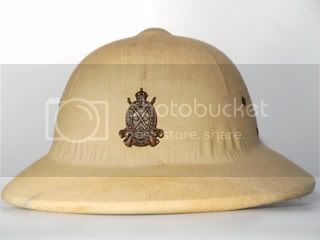 A Canadian Wolseley helmet from the Royal Canadian Regiment. 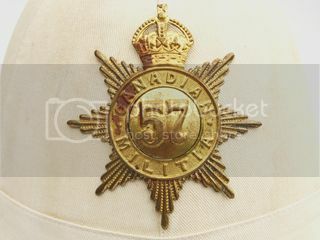 Currently all Canadian units, which do not already have a full dress headdress, utilize the Wolseley as the de facto full dress headdress. 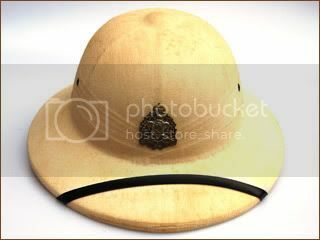 This example is modern made of a fiberglass-type materials, while the fittings are still brass and the puggaree is cloth. Adopted in 1997 the Mod. 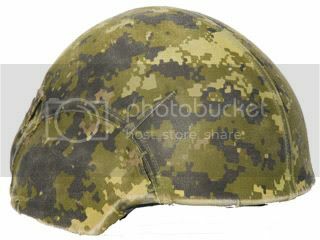 CG634 is the current issue Canadian ballistic helmet. This example features a digital camouflage cover.